Dynamic messaging is a marketing technique involving the use of keywords, information, preferences and business rules to create automated custom messages for recipients. In today’s competitive marketing environment, it can provide a competitive advantage and help keep your brand at the forefront of customer’s minds by providing personalized, relevant and timely content to customers. The importance of this can’t really be overstated, with data showing that personalizing campaigns through targeting, doubles click through rates and triples conversion rates, compared to traditional broadcast campaigns. So, how exactly does dynamic messaging work? A dynamic message essentially works the same way as a broadcast message that contains custom fields. When you insert a custom field, such as a first name, into a message, you are often pulling information from a marketing platform or spreadsheet and automatically inserting it into the message. Similarly, a dynamic message draws on external information. The difference is, this information is typically taken from an API and updated regularly, making content highly relevant and personalized. Dynamic messages can be sent in the form of push notifications, emails and of course our favorite, through SMS technology via a dedicated number. Why does SMS remain our preferred channel, you ask? 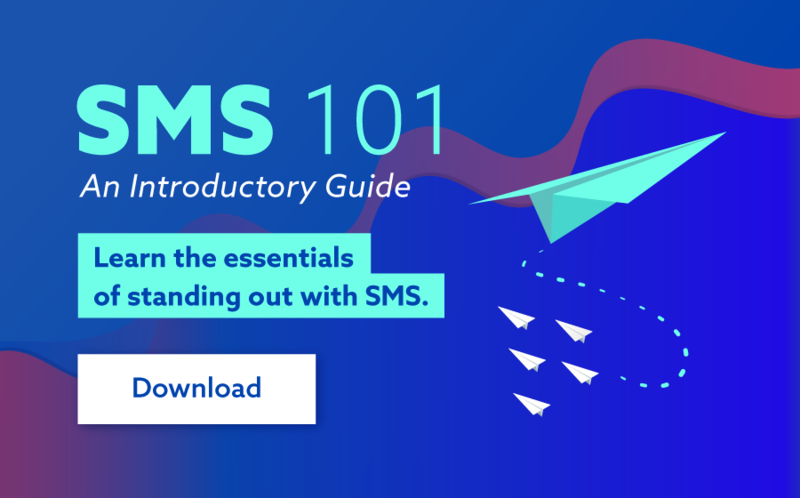 Despite the introduction of new technologies, SMS remains the most direct and effective communications channel to reach your target audience in a timely manner. With mobile phones becoming more ubiquitous than cars, 98% of SMS messages are opened, 95% of these within the first few minutes of being received. Dynamic SMS allows businesses to retarget visitors with a special offer on the products they are interested in. Doing this, motivates them to take the next step in the purchasing process. By using 2-way-SMS, customers can even respond back with any questions they may have, further enhancing engagement. Dynamic SMS messaging is an ideal means of cross-selling, or inviting customers who have just made a purchase to buy related or complementary products. This not only improves engagement and customer experience, it also drives sales. Effective messaging is the bedrock upon which you can build your customer engagement. Dynamic SMS messaging allows you to send each customer personalised content with different images or links based on their expressed preferences and past behaviour. This could be used to promote specific products and services that a customer is likely to be interested in. In today’s competitive marketing space, personalisation is key, and the ability to deliver a custom experience for your audience based on their behaviour and preferences is the holy grail for any marketer. Dynamic messaging provides marketers with this ability, enabling them to automate a custom experience for every user, from a single messaging campaign. Furthermore, dynamic messaging offers marketers an effective follow-up system. This makes it possible for businesses to salvage potential customers who are unlikely to purchase a product the first time they see or hear about it. The follow up can be as simple as contacting your target customers periodically with a new offer or providing them with useful information. And in so doing, you build a relationship that can eventually lead to the sale. For more information on dynamic messaging, dedicated numbers, 2-way- SMS or other SMS technology, please feel free to contact a member of our customer success team here. Alternatively, you can reach us at any time on 1300 883 400.